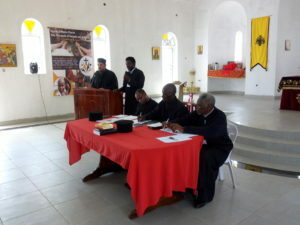 The Orthodox Metropolis of Kampala and all Uganda with the generous support from the monastery of Panagia Chrysopigi in Greece, today 30th July 2018 launched a 7 days clergy seminar at the St. Spryidon Orthodox parish Luguzi in Wakiso district on the Theme: THE ORTHODOX PRIEST TODAY FROM THE LITURGICAL LIFE TO THE SHEPHERD ACTIVITIES. 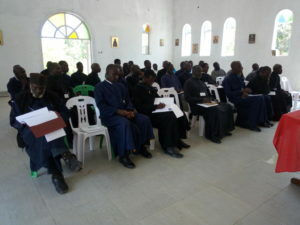 The major focus of this fundamental seminar is basically to sensitize the clergy on how they can strengthen, revive and empower themselves in their different parishes so as to effectively execute their responsibilities as shepherds. The turn up of clergy from Northern, Eastern, Western and central Uganda totaling to over 40 has been registered and they were welcomed by Protosingelos Rev. Fr. Caralambos mutalagwe who officiated the opening ceremony of this Seminar and commended the clergy for their participation and involvement in this seminar. We request for your prayers that will enable the whole process to be successful! Follow all the proceedings and live sessions on our different social media platforms. 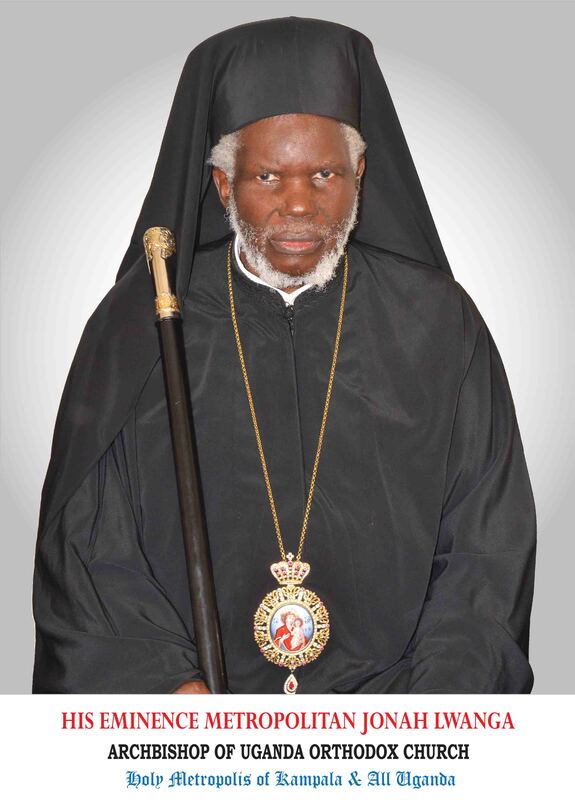 FACEBOOK, TWITTER, YOUTUBE and INSTAGRAM @Uganda Orthodox Church.